The sinuses are small, air-filled cavities in the skull which produce mucus to protect the nasal passage from toxins and allergens that cause viral infections. When the tissues lining these sinuses become inflamed or swollen up with any viral infections like cold, flu, air pollutants, stress, low immune system etc. They block the sinuses, traps air and mucus inside which cause swelling and facial pain. The symptoms of sinus infection are swelling, headache, nasal congestion, difficulty in breathing and pressure. Raw, organic honey can be used to treat all the symptoms of sinus infection. We’re about to tell you exactly how, but first, take a look at why it works. Is Honey Good for Sinus Infection? Honey is naturally anti–bacterial, anti–viral, and anti–septic which help to clear the sinus causing bacteria. Honey soothes the throat to reduce coughing and soreness. Some studies indicate that honey is a more effective treatment for sinusitis than prescription antibiotics. 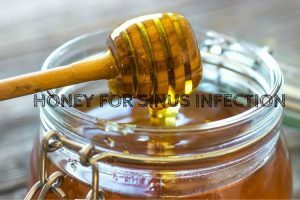 Honey strengthens the immune system to fight against bacteria that cause sinus infection. Manuka honey kills microbes that are highly resistant to antibiotics. Honey can be used alone and in combination with other natural ingredients that fight viral infection. Try all the methods below until you find the one that works best for you. Apple cider vinegar relieves stuffy nose and sinus pressure and it kills the microbes that cause infection. Boil 1 cup water and 2 tablespoons apple cider vinegar. Stir well, then remove from heat and let cool to room temperature. Boil 1/4 cup each of apple cider vinegar and water in a pan. remove from the flame and let it cool down till lukewarm. Add 1 tablespoon each of honey and cayenne pepper and stir well. Drink this to get rid of sinus infection. Alternately, you can mix 2 tablespoons of cider vinegar and orange juice along with little of flaxseeds and honey. Drizzle this mix over the salad and have it to relieve from sinus. Garlic is a natural antibiotic and kills the bacteria that cause infection. Peel and mince 3-6 garlic cloves. Mix with 1 – 2 teaspoons raw honey. Consume 5 minutes before meals. Or mix 1 teaspoon of honey and 3 – 4 crushed garlic cloves and few drops of olive oil. Use this as a topping on bread or crackers to reduce sinus infection. Lemon contains vitamin C, which strengthens the immune system, and it is naturally anti-microbial. Mix 1 tablespoon of raw honey with 2 teaspoons of fresh lemon juice. Mix 1 tablespoon each of fresh lemon juice and honey, 2 tablespoons of apple cider vinegar in 8 ounces of lukewarm water. Stir well and drink thrice a day to get relief from the sinus infection. For extra relief, you can add 3 grounded garlic cloves. Mix 1 tablespoon each of raw honey and apple cider vinegar, juice of 1 lemon, 1 teaspoon of fresh grated ginger and a pinch of turmeric and cayenne pepper in 12 oz of filtered water. Drink this to get relief from the sinusitis. Add 2 teaspoons of organic honey in 1 cup of warm water. Stir well and drink this to get relief from sinus and its symptoms. Ginger has volatile oils, gingerols, shogaols and other effective compounds which clear away excess mucus to relieve congestion. Boil a cup of water and stir in 1 teaspoon of peeled, minced ginger root. Strain and let it cool down till lukewarm. Stir in 1 tablespoon each of fresh lemon juice and raw honey. Stir in 1/2 of lemon juice, 1 – 2 inch piece of freshly grated ginger, 1 teaspoon of turmeric powder, 1/2 teaspoon of ground cinnamon, 1/4 teaspoon of ground black pepper and pinch of ground cayenne pepper. Cumin seeds clear away excess mucus and reduce swelling. Roast 1 teaspoon of cumin seeds and grind into powder. Mix powdered cumin with 1 teaspoon of raw honey. Cinnamon contains eugenol and cinnamaldehyde, which destroy harmful bacteria. Mix 1 tablespoon of raw honey with ¼ teaspoon of cinnamon. Consume the paste daily to clear the blocked sinuses. Manuka is made in New Zealand, and it is widely accepted to have more health benefits than any other honey. Boil 1 cup of distilled water till lukewarm and remove from the flame. Stir in 1 teaspoon of manuka honey and ¼ teaspoon each of baking soda and non–iodized sea salt. Pour into sterile jar with lid. Store in refrigerator and use dropper to administer 8 drops into each nostril once a day. Also, swallow 1 teaspoon of manuka honey in the morning every day. Mix 1/2 teaspoon of cinnamon, 1 teaspoon of manuka honey in a glass of warm water. Drink daily to get rid of the sinus infection. The capsaicin in cayenne pepper reduces swelling, congestion, and inflammation. Mix 2 tablespoons of raw honey with a pinch of cayenne pepper. Consume the paste or stir in 1 cup of warm water and drink. Stir honey and salt in warm water. Pour this mix in the neti pot. Tilt your head down and pour this mix in one nostril and you have to get this mix from another nostril. Make sure to breath with your mouth. Pepper relieves congestion and cough and thins mucus to reduce congestion. Crush 1 teaspoon black pepper and mix 1 tablespoon of raw honey. Stir mixture into a cup of boiling water. For added benefit, include lemon and ginger juice. Peel and mince 6 garlic cloves. Chop one onion and 8 radishes. In a blender, mix garlic, onion, and radishes with 1 cup each of raw honey and fresh lemon juice. Store mixture in refrigerator and consume2 tablespoon per day. For children give 2 tablespoons of this mix daily. Or mix 3 teaspoons each of onion juice and honey and consume this twice a day. Basil clears away excess mucus and relieves headaches and fatigue. Grind 12 fresh basil leaves to make a paste. Mix basil paste with 2 teaspoons raw honey. Fenugreek strengthens the immune system and reduces inflammation. Boil 1 cup of water and stir in 2 teaspoons of fenugreek seeds. Reduce heat and let simmer until water reduces to half its original volume. Let it cool down till lukewarm. Stir in 1 teaspoon of raw honey and drink. Almonds and raisins contain vitamin E and essential fatty acids that relieve the symptoms of sinus infection. Soak 7 almonds and 7 raisins in ½ cup of water overnight. In the morning, eat the almonds and raisins. Mix 1 teaspoon of raw honey into the remaining water and drink. For best results, follow the advice below when using honey to treat sinus infections. Always use raw, organic honey, preferably Manuka. Honey treatments should supplement medical treatments, not replace them. Manuka honey or organic honey might interfere with beta–blockers. Do not use them if you suffer from heart conditions or tuberculosis. Do not use honey treatments for sinus infections if you are allergic to bees. If you have diabetes, consult a doctor before beginning honey treatments. To lessen the risk of allergic reaction or other irritation, use honey that is produced as near as possible to where you live. Do not drink anything for about 30 minutes after taking Manuka honey. If symptoms worsen, or if you develop a fever, consult your doctor. The above home remedies for sinus infection will work best when combined with a healthy diet and regular exercise. Have you tried any of these treatments? Tell us which ones worked best for you! How many days i have to take honey to completely relief from sinus problem, is honey regular use give any side effect for body. It is difficult to mention the exact time frame as everyone reacts different to the treatment. So try the remedy regularly until you achieve the result. Limited consumption of honey will not harm you so don’t worry. Hi, great article! I would just like to say that adding honey to water that is too hot will kill the beneficial enzymes thus reducing or eliminating it’s medicinal qualities. Yes, raw honey when mixed in hot water can kill some beneficial enzymes but it doesn’t happen if mixed in lukewarm water. As drinking cold water can worsen the infection, it is suggested to drink it with lukewarm water or water at room temperature. Hi, thank you for the valuble information. What if i put two drops of honey in each nostrile to treat my sinuses would this help? Does it have any side effects would honey affect/block my ear. Avoid putting honey directly into the nostrils as it can block your nose. 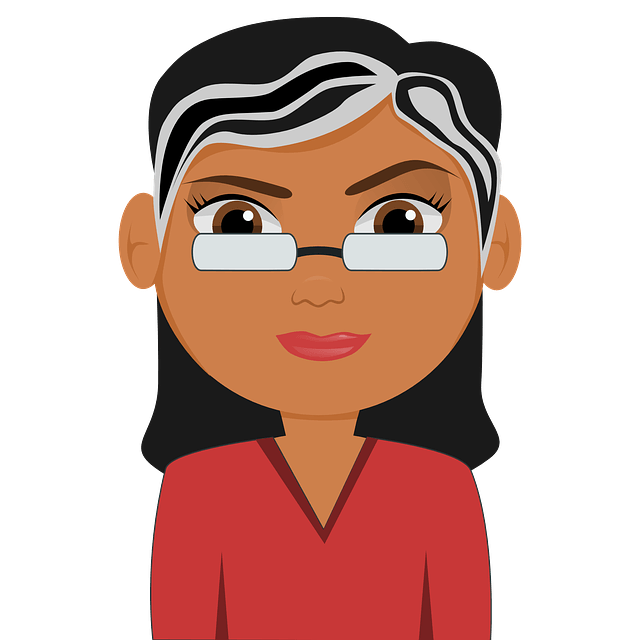 I have sinus infection from 3 years…. i use boil for 15 minute giloy and black peeper and tulsi and ginger ….. then when its lukewarm i mix 1 teaspoon honey and dring in every morning…. is it right or not plz tell…. it can help me in sinus….?? Yes, the combination you have specified will provide relief from sinus. I just did the lemon and honey treatment. What I’m wondering, is how often do you do that? Yes, it will. The acidic levels of lemon balance the pH levels which prevent the infection from spreading. Honey soothes the throat, reduce inflammation and fights off bacteria. All great infirmation. Im heading to the store now to buy ingredients. Have sinus infection and pounding head ache at present. Went to urgent care this afternoon and got rx for infection and rx for my allergies that i get every year this time. (Flonase). But i rather incorporate remedy the natural way. Will repost my results. Thanks again for sharing. My sinus drain from my throat on to my chest and its given mi a warm time to breathe which one of these you thinkbest for me? Hi how much must I take the mixture of honey and cinnamon to relief sinus.